CBSE students incompetent to join Tamil Nadu Medical Colleges? From 2013-2015, NO CBSE candidate was given MBBS admission in any government medical college in Tamil Nadu under the 85% state quota. 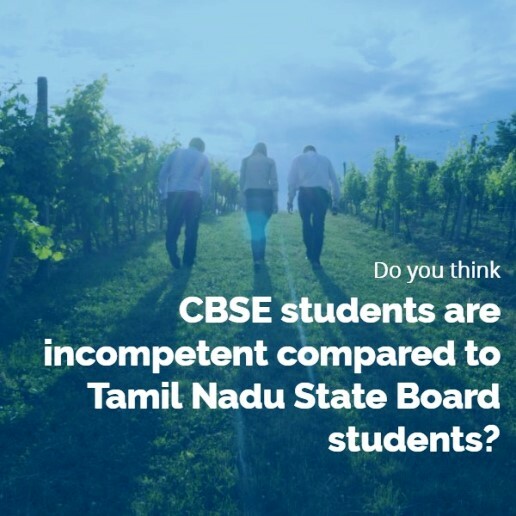 Do you think CBSE students are incompetent compared to Tamil Nadu State Board students? Are they not competent enough to join Tamil Nadu government medical colleges? Can they not match the Tamil Nadu state board students in studying MBBS? I do not know. But, that’s what the Tamil Nadu State MBBS admission statistics from the past three years (2013-2015) reveals. Please read through as I explain the difficulties faced by CBSE students in Tamil Nadu Professional Courses admission. CBSE Students at a disadvantage? Times of India reported in May 2013 that CBSE students are on back foot. The report highlighted that even with very high scores, a CBSE student has little chance of getting a seat for a professional course in a good college in Tamil Nadu. It is no secret that State boards are lavish in providing marks to their students. Times of India, Kochi edition, reported in October 2014 that Nearly 50% CBSE students opt for state syllabus. Of course, what else would you expect when candidates in Kerala State Board scores perfect 1200/1200? It was recently reported that Shri Ram College of Commerce (SRCC) in New Delhi has seen an unprecedented number of students from Tamil Nadu taking admission this year during the first round of admissions. Reports highlighted the trend of students from state boards of Tamil Nadu and Kerala taking admission in SRCC in particular, and DU in general, in the last few years. With centums and perfect scores being normal in the State boards, the only hope for CBSE/ ICSE students is a dependable, trustworthy and reasonable Normalization procedure. Tamil Nadu follows a normalization process, as recommended by Dr. Anandhakrishnan Committee, effective from the year 2007, soon after the entrance exams were abolished. Tamil Nadu continues to use the highly unstable "Stretching method of Normalization" for preparing the Merit List for Tamil Nadu Engineering and Medical admissions. In Aug 2015, The Hindu, in its article titled Percentile-based ranking process, has highlighted that "The hustle and bustle in MBBS admissions this year against government quota seats in Tamil Nadu has brought to fore possible anomalies in the procedure currently followed for admission". The Hindu, again in June 2016, published an article titled How about a percentile-based rank list?. In this article, the author has analyzed the advantages and disadvantages of "The Stretching method of Normalization", currently adopted in the Tamil Nadu Engineering and Medical admissions. The main disadvantage, identified by him, is that the method does not take into account the levels of average performances and the manner in which the performances differ from the average performances in the systems being compared. In the stretching method, if just one CBSE candidate obtains 100 per cent in a subject, there would be no change in marks of a CBSE candidate due to normalisation. Unfortunately, since there is a centum scorer in all the subjects (Physics, Chemistry and Biology), there was no increase in marks for any CBSE candidates due to normalization in 2016. The above discussion clearly shows that there was no real standardization of marks across the boards. This was clearly evident when I read the details of three students topping the Tamil Nadu MBBS Merit List 2016. Each one came from education in a different state, but still all scored a perfect 200.00 marks. The toppers came from Thiruvananthapuram, Vijayawada and Thiruvaiyaru. With the above information in mind, I felt that CBSE students would be at a complete disadvantage competing against the Tamil Nadu state board students. To just confirm my thought process, I sought information from the Selection Committee, Directorate of Medical Education, Tamil Nadu through an RTI. 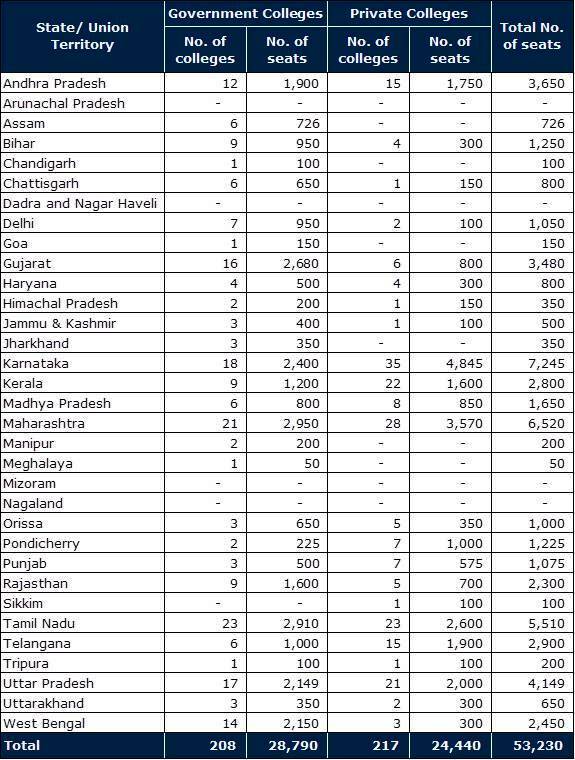 I requested the admission details with a board-wise breakdown for the past three years (2013-2015). To my utter shock and disbelief, the RTI revealed the following harsh truth, worse than what I was expecting. In the last three years (2013-2015), NO CBSE candidate was admitted to any government medical college in Tamil Nadu through the State Counselling Process. The below snapshot shows the reply from the Directorate of Medical Education, Tamil Nadu revealing the admission statistics for the past three years. About 8% of the Tamil Nadu State board students got admission in the government medical colleges, while none from CBSE were admitted. 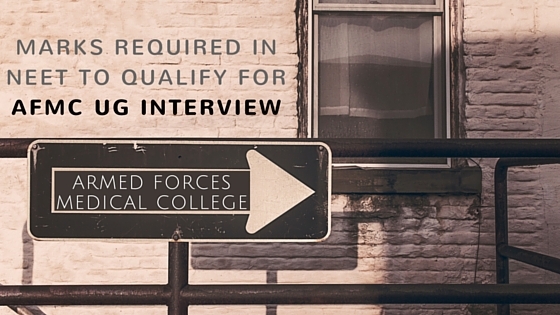 Even the self-financing colleges show a mere 8 candidates joining in three years. The above information is disappointing and demotivating for a CBSE student. There could be only two reasons for this poor state of CBSE students: either the normalization procedure is unfair to CBSE candidates (or) CBSE students are incompetent to join Tamil Nadu medical colleges. I am leaving the decision to the readers. Is the Tamil Nadu government not keen on providing an equal and fair platform to students from other boards? Why CBSE is silently watching this? If you do not get any advantage or a level playing field even within your state, where else would you go? Please share your views in the comments below. Your views will certainly help in understanding this statistics better. Thanks for your views. Hope a fair normalization procedure is adopted in future to give CBSE students a level playing field in medical admission. Sir,it is heartening to read your candid article on ERRONEOUS selection procedure adopted in Tamil nadu medical admission which is based on unscientific,illegal and unconstitutional method for NORMALIZATION as mandated & illustrated by clause 5 (1) of the Act 3 of 2007 of Tamilnadu. This unfortunate method for NORMALIZATION (as you named it "stretching method" ) was merely copied from BITS,Pilani - ignorantly by non expert committee headed by Dr.Ananthakrishnan . This method for NORMALIZATION is not scientific and approved by statistical experts. 1.This impugned method was said to be ARTIFICIAL by Madras high court in 2007 judgement - upholding the policy of normalization of marks obtained in qualifying exams conducted by various boards and different years . 2.Punjab and Haryana high court declared this method as unconstitutional in 1989 itself. 3.Rajasthan High court said that this method followed by BITS as "stale & stagnant".subsequent to this judgement,BITS ,pilani itself discontinued this unconstitutional method in 2005. But alas ! The negligent government of Tamilnadu adopted this unfair method as the LAW of the state of Tamilnadu. 4.Mumbai high court in 2008 has quashed a similar method in junior college admissions as unconstitutional. 5. The central ministry of Health and medical council of India had raised conscious and serious objection to the unscientific method for normalization as per the relevant bill of the said ACT,before the honourable President of India gave ASSENT to this unconstitutional method negligently in 2007.The central government - ministry of health recommended only "percentile method" in stead of this erroneous method. But by legal battles,government of Tamilnadu is arrogantly & mindlessly sustaining with this unconstitutional method. Victory ? or Foolishness ? The concept of NEET itself was born in medical council of India in 2009 ,because of this legal complication arisen due to the erroneous ACT of Tamilnadu.Please refer the executive committee meeting & minutes of MCI in 2009. This unconstitutional method favors only poorly meritorious applicants against the fundamental rights of better meritorious applicants. It is against the merit based selection for MBBS as per Indian medical council ACT 1956. Unfortunately the government of India is meekly witnessing the unfair & unconstitutional selection by the government of Tamilnadu. God save India and Tamil nadu ! Thanks Srikanth! You have given very valuable comments on the unstable normalization procedure adopted by Tamil Nadu for professional courses admission. It is surprising and disappointing to note Tamil Nadu continues to adopt such an erroneous procedure in spite of several instances you have quoted. End of the day, several meritorious candidates lose out to the normalization procedure. A fair and transparent normalization procedure would do justice to the hardworking students. Once again, I thank you for your detailed response. Sir,thanking you for prompt response. Even now,it is not too late for meritorious students in CBSE or any other board who applied for admission in Tamil nadu MBBS seats in 2016. 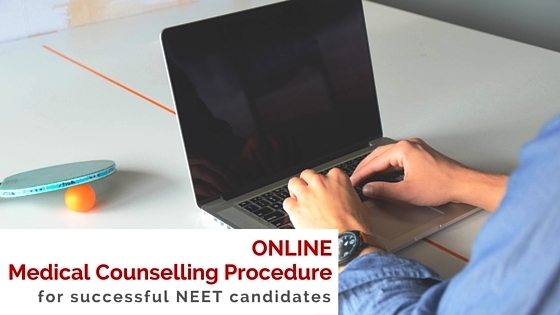 The ORDINANCE 4 of 2016, promulgated by the honourable President of India,amending the Indian medical council ACT-1956,has made the NEET mandatory for all MBBS admission in india from 2016 and the same ORDINANCE has exempted willing State governments which conduct only UNIFORM ENTRANCE EXAMINATIONS for uniform evaluation among applicants for state quota of 85 % ,particularly for this year 2016. From next academic year,there is no idiocy possible by government of Tamilnadu. But for 2016,the previously quoted erroneous ACT 3 of 2007(Tamil nadu) has become annulled by the amended IMC ACT 1956( subsequent to the promulgated ORDINANCE ). In spite of the enactment by the ORDINANCE,government of Tamilnadu had not conducted any UNIFORM ENTRANCE EXAMINATION in Tamil nadu for 2016. For the purpose of UNIFORM EVALUATION among ALL ASPIRING APPLICANTS in 2016,Tamil nadu has erroneously applied only the older method for NORMALIZATION which has lost its statutory authority subsequent to the promulgated ORDINANCE. The impugned method for NORMALIZATION is UNFAIR,unconstitutional for CBSE & other better meritorious students. These affected Students can approach the supreme court in time( remaining 2nd counseling in Tamil nadu is still pending till the end of September ). The government of Tamilnadu is presently having NO DEFENCE against the fundamental rights of better meritorious students among ALL ASPIRING APPLICANTS.Please spread the information in time.Thanking. Once again, a detailed and clear response from you. I am doing my part to create an awareness of this unfair practice. The RTI shows clearly the failure of the government to provide a fair evaluation of students from all boards. I will continue to spread your point through social media and let us see if someone wants to take it up to the Court. Sir,thanking.Please let us uphold the merit permissible within our constitution of India. Please kindly send your article based on RTI to the editor of the Hindu,as the rejoinder to the relevant articles ( stretching method versus percentile )quoted by your article.GOD save India ! Thanks for your comments and interest. I will forward it to The Hindu as advised. Thanking & appreciating for your original incisive & investigative article.Thanking also for socially responsible articles published in the Hindu by professor.Dr.PVN. Before our comprehensive interest in illegal selection by government of Tamilnadu,enormous damage has been done to thousands of better meritorious students since 2007, by negligent government of Tamilnadu,impotent government of India and ignorant judiciary which upheld this unfair & unconstitutional method for NORMALIZATION. It has been a biggest scam ,far bigger than Vyapam,- in the history of medical education ,consciously permitted by Medical council of India. Please forward your views to MCI ( LODHA COMMITTEE ),MINISTRY OF HEALTH,GoI and the Hindu. Thanking humanely & GOD bless you,sir. Thanks once again Mr. Srikanth for your comments and interest in upholding justice to meritorious students. I tried to contact Dr. PVN through his mail id after publishing this article, but in vain. It would be of great help if you could share the contact details of MCI (Lodha Committee), The Hindu editor and Dr. PVN. You can send them to my mail id manick.pmp@gmail.com. CBSE students from Tamilnadu should file a WRIT petition to the honourable supreme court -justice Mr.Anil Dave immediately regarding the unconstitutional method for NORMALIZATION being adopted in Tamil nadu-selection 2016-17. You're right. But, Tamil Nada is a place where people rarely go to court. I have seen so many cases against medical admission procedure in many states like Kerala, Maharashtra, Punjab, West Bengal, Delhi. But, nobody comes forward in TN. I wrote a detailed mail with the above details to MCI and the oversight committee. But, no response from them. I think it's too late for this year and I doubt any one will come forward to challenge this in Court. For your kind information,in 2015,more than 200 parents fought for legally valid method for NORMALIZATION and equating between different exams of various boards and different years. But in vain. We consulted for filing for 2016,but more than 5 senior advocates are hesitating to sue against the political dispensation ruling in Tamil nadu.the government of Tamilnadu jealousy & vehemently oppose any move to criticize or correct its policy of normalization in lieu of UNIFORM ENTRANCE EXAMINATIONS. The bureaucracy of Tamilnadu & government advocates fail to understand the difference between the policy of normalization and method for NORMALIZATION.Even the honourable judiciary is failing miserably. No one in Tamil nadu is capable of tying the bell to the motherly cat.Alas ! Let us sacrifice all our meritorious students to the political opportunism. Jai tamizha ? I didn't know that. Why judiciary is not understanding when there are clear statistics to prove that the normalization procedure has failed to provide a level playing field? If advocates in Tamil Nadu do not come forward, is it possible to file a writ petition at the Supreme Court? 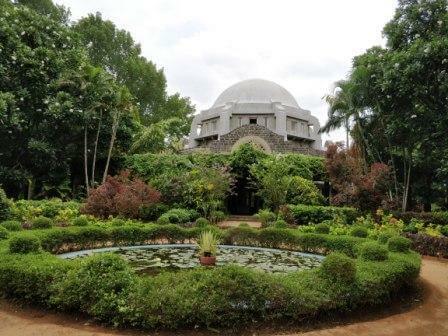 Puducherry(JIPMER), which is also an institute of national importance. The honourable supreme court apparently did not intervene in lack of normalization between NEET 1 & 2 in Shivani Singh case. But,Punjab and Haryana high court recently upheld the need for statistically approved method for NORMALIZATION for PMET 2016. We are unfortunate in Tamil nadu.idiotic bureaucracy,adamant & careless politicians & opportunistic judiciary are ruining the Dravida Thirunadu ! Yes, contradicting judgments by Supreme Court and Punjab High Court. One has dismissed saying they do want to open up further issues, while the other stood strong and approved the normalization procedure. I see several contradictions in the name of state autonomy. In admissions like this, there should be a global procedure and local implementation. Yesterday, Kerala High Court has instructed MCI to conduct as many counselings as possible until all All India Quota seats are filled up. For the same issue, I believe SC has earlier agreed to conduct just two rounds of counseling before surrendering all India seats to respective states. Lot of contradictions, confusion and chaos! The honourable supreme court of India is just pitying for justice. Unfortunate. At least,it should have given a relief to the concerned affected petitioners,in order to protect the fundamental rights of individuals and to uphold the constitution of India. Its really a sad state of affairs. Supreme Court made a mistake by interfering into the admission process at a very late stage this year and forced NEET. They could have just implemented it from 2017. They didn't do that. This led to implementation without planning, leading to all sorts of chaos. Now, when they know its injustice, they don't want to intervene and ensure justice. Again, its very disappointing. The difference between paying 1 Crore and 1 lakh for a medical seat is just one wrong question. A candidate with 513 marks would get a government medical college and pay about 1-2 lakh fees for the whole course. A candidate, who got just one more question wrong and ended up with 508 marks, have to join a private college. He may be spending about 75 lakhs - 1 Crore if he joins a college in Tamil Nadu. With the margin of error so narrow and the losses so heavy, it is painful to see justice not being restored knowing very well it is injustice. And the honourable supreme court should have acted against the negligent & erring CBSE & government of India which denied the fundamental rights of better meritorious students. Agreed. Supreme Court should have at least reprimanded the erring parties. But, with an Oversight Committee in-charge and supervising the entire proceedings, SC might not have wanted to shoot its own foot. Yes sir,YOU are absolutely correct. LORDS of the courts are not omniscient nor omnipotent. They should not have treaded where even the concerned experts would have hesitated to intervene. In stead of rendering JUSTICE,these biased activistic JUDGES with absolute power have become muddle-headed. God save us. Thanks for your valuable inputs and concern. People like you give hope for candidates in their belief that everything will fall back in line one day. The more easiest way could be 10% or % proportionate to number students who study Botany/Zoology/Biology in +2 in respective Board. I too agree that is one of the easier solutions. 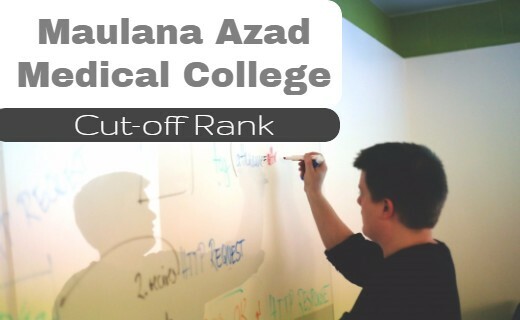 In fact, Gujarat follows a similar model for MBBS admissions. Sirs, This method is being called "PRO RATA"method. As said, it was once followed in Gujarat.But there is a critical difficulty in it.In a particular year,one can arrive at the ratio of students appearing for various boards and fix the pro rata seats between them. But when students from many different batches(years) from the same boards are applying, how to arrive at inter-se merit & common merit ranking among the given slot? Though this method can fairly distribute the seats between different boards in a given particular year, it can not ensure that only better meritorious are given their due seats mandated by their fundamental right. Thanking. Sirs, the following is the objection raised by ministry of health, GoI in 2007,against the tamilnadu bill with wrong method but for right policy of statistical normalization &equating. Unfortunately, the honourable President then inadvertently assented to unconstitutional clause for mysterious reasons. 5. In the light of the above, a conscious decision has been taken that where a State Government is desirous of dispensing with common entrance test, should adopt either of the following methods to achieve the uniform evaluation. 7. This Ministry conveys its no objection for enactment of the above Bill subject to consideration of the options mentioned of para 5 above in the interest of natural justice. As regards Constitution validity of the Bill, it is for the Ministry of Law and Justice to comment upon. It is further added that the Bill will not be an hindrance to the Central Act or Policy, as it is limited to a particular state which has certain reasons. (K.V.S. Rao) Deputy Secretary to the Government of India Tel.23061288"
Now Hon' minister Nadda says, TN can have its own reservation to students from rural and state board inspite of NEET score. Going by the past experience, TN govt' would give majority of 85% seats to state board students and from rural background. CBSE students of the state will continue to have the ill fate inspite of studying heavy syllabus and strict marking!!! Can someone bring this up pls. 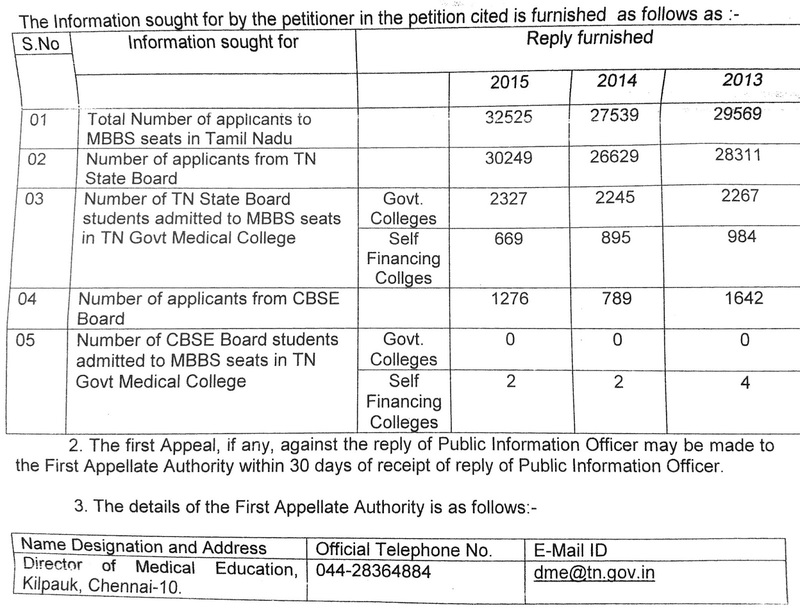 TN govt' did not bother, when CBSE students could not get a TN govt' medical college seat. But whole world comes to protest when state govt' were at the risk of getting medical seat in TN!!! Eternal Vigilance is the HARD prize for liberty,very essentially in political democracy.Awake,Arise,Organize,Agitate is becoming more true hereafter in Liberal?India!.We can not blame & should not wait with Advaidhic detachment for godly but timely intervention to render justice in inhumane society ruled by brute & greedy mob democracy by widespread lawlessness & collective/participative corruption. When one is cornered by the injustice of mob democracy, one way left is fight back in groups of affected community. In the name of federalism,many state governments are in historical antagonism with Central government and Indian constitution. Since in tamilnadu,National organizations are seen as anti-dravidian people/politics. Hence state political parties see this issue as fight between CBSE vs State board, central vs state autonomy, upper/elite class education vs mass/state education. It has become an ugly & intractable fight between meritocratic elite/upper class community(a minority in city & elite schools & mediocrity middle class masses supported by regional political parties. Unfortunate context. Mr Nadda was inevitably playing politically awkward drama in suggesting some type of unconstitutional protectionism for TN majority board in the name of 'RURAL'sloganism. But further compartmentalization as rural or board wise might not be tolerated by SCI. But we can not believe in state high court. Be prepared in group to fight it out in Supreme Court of India.only solace may be the powerful BJP government at centre, favouring "meritorious".yes move forward hopefully with prayers & fight against state sponsored injustice? You are absolutely right and your anger is justified. Its still not clear what Tamil Nadu government is planning. But, expect them to come up with some popular measure, which may not be justice to all board students. As Prof. Srikanth has highlighted the only way is to take it up in Supreme Court with like minded students. Professional education in TN has again been Dravidianized by all Dravidian political parties running it as business minting billions of dollars and used to buy votes and then corrupt the entire system. The family owned DMK ADMK DK DMDK DDBJ AXYZ all used this business to develop cadres and loyalties to political families swindling billions of corrupt money. Thank God I as a Tamil Brahmin escaped from that drainage which is ruled by stinking people! This is the voice of a very very poor Brahmin boy who excelled in academics but thrown out of the Dravidian state just because I was born in a Brahmin family. They completely wiped out my Tamil identity as if Tamil is their birth right. This is the curse of a begging poor Tamil Brahmin boy to pseudo Dravidian goons! I can understand your feelings. Hope you retain your Tamil identity wherever you go. And, I am sure you will return to the roots to contribute back. I am confident the governance will improve as the generation changes. Dear Admin well said !! This exam is conducted in a All India Level . If every states come up with these rules ..what will the CBSE students DO ?? reservation should come up with EQuality ..The same policy is being followed in Arts and Science colege as well ..State Governments results come earlier and Mostly allotments are done , hence we are Effected EVeryehere !! # Justice Needed ..there is No PreFERence for us Anywhere ...!! any two different question papers or method of exams in the same or different boards will not result in comparable raw marks in percentages and so NOT mergeable into a common merit ranking as legal necessity for COMMON EVALUATION to ensure equity as enshrined in Art 14.
so in the absence of common entrance test for COMMON EVALUATION for inter-se comparison,a scientific method for equalisation by statistical "NORMALISATION" is mandatory. by this abnormal PSEUDO NORMALISATION,better meritorious students from difficult exams and boards of evaluation are denied of selection and fundamental rights as against less meritorious from easier exam or board since latter students can naturally score higher raw marks. hence your argument against CBSE students is NOT tenable because of unscientific equalisation followed in TN. Collectively, THEY have decided to ONLY mint money, without caring the standard of the Syllabi and the level of knowledge the students would acquire. And, MASS COPYING during the Public Exam is also there; Thats why, THEY will not allow any OUTSIDE Scheme to evaluate their students; So, it is not surprising to see the Politicians' stand towards NEET. But Communists too are in the opposing-mode - which is not understandable.